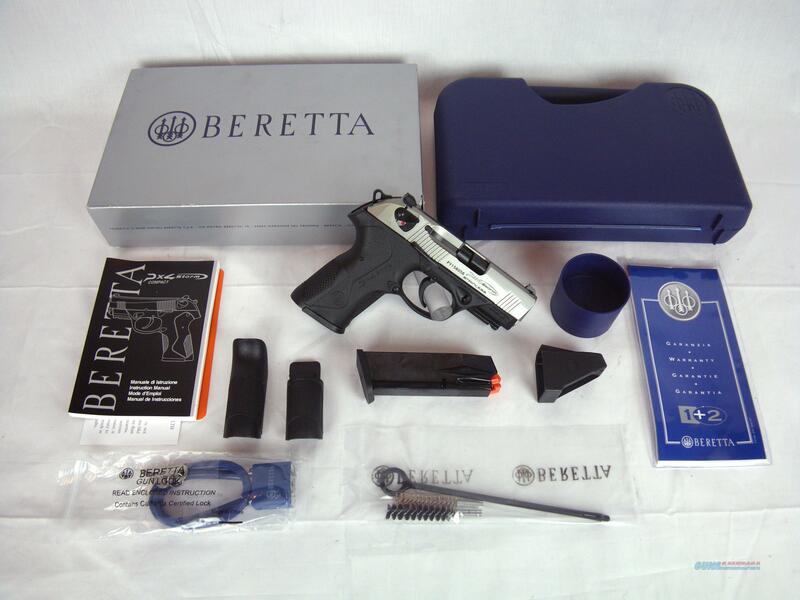 Description: You are bidding on a new Beretta PX4 Storm Inox in 40 S&W with a 3.27" barrel. Hold the PX4 Storm Compact and you'll immediately realize that this handgun can do it all. Perfectly sized and balanced, it is equally suited for concealed carry, home- or personal defense as well as recreational shooting. With its full grip, full-capacity magazine, accessory rail and interchangeable backstraps, you will get a further sense of its versatility. But it is at the shooting range that this double/single-action compact handgun will truly wow you: thanks to its rotary barrel system, recoil dissipates radially, resulting in much less thump in your hand and super-fast follow-up shots. The stainless steel action on this handgun provides excellent corrosion resistance, giving you less time cleaning and more time practicing. Displayed images are stock photos. Any questions please feel free to ask (our phone number is in the additional information tab above).